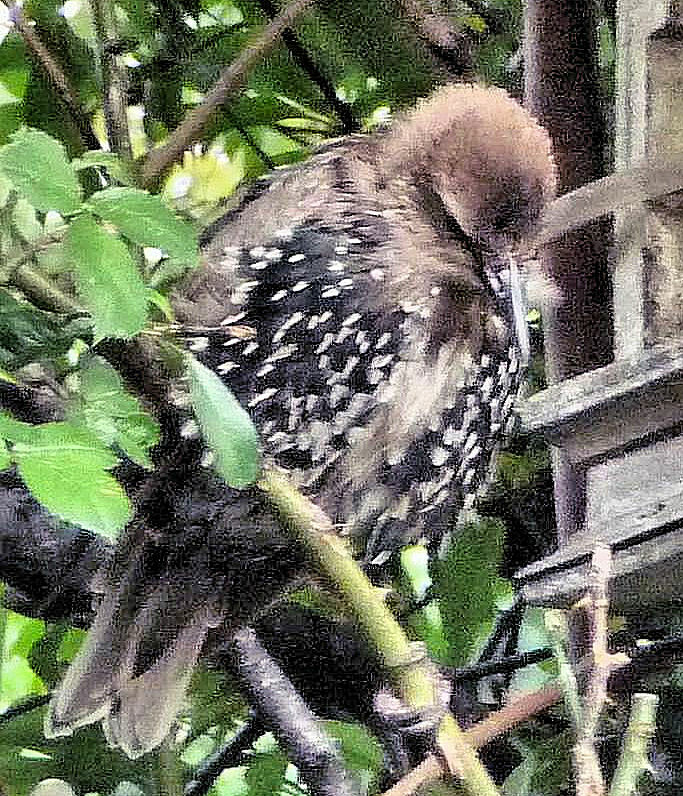 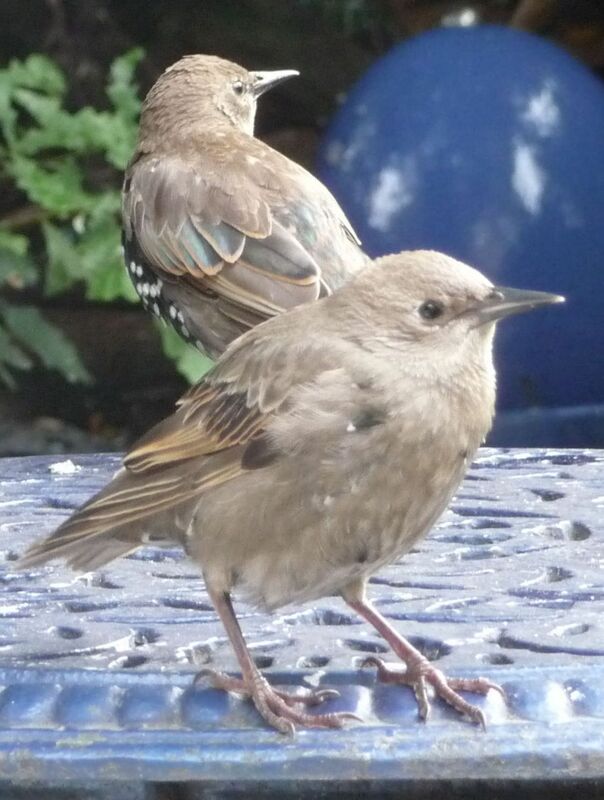 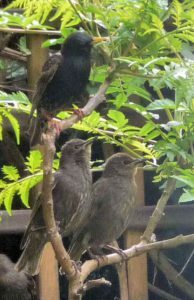 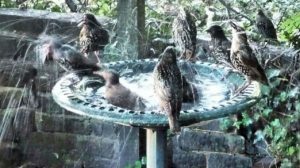 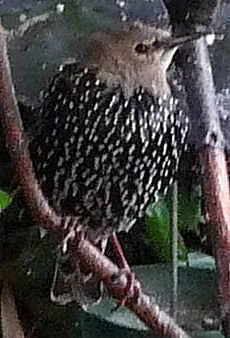 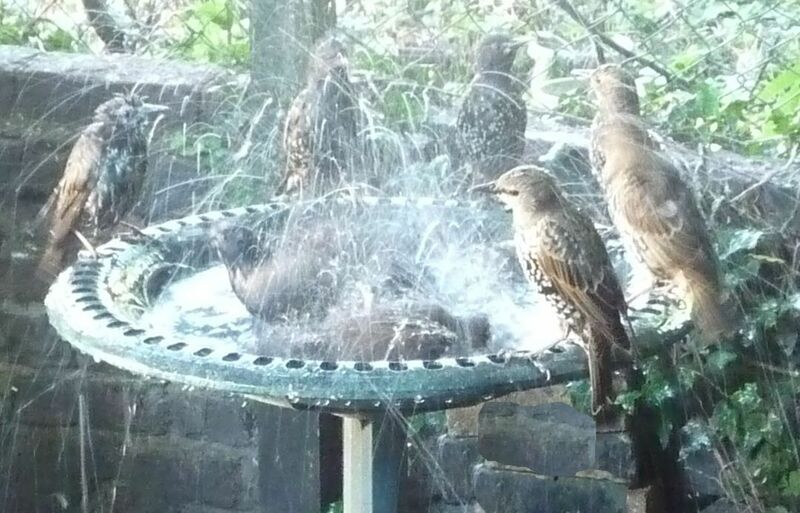 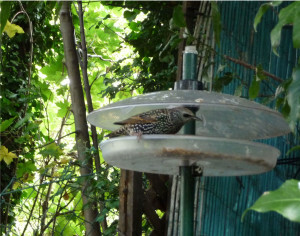 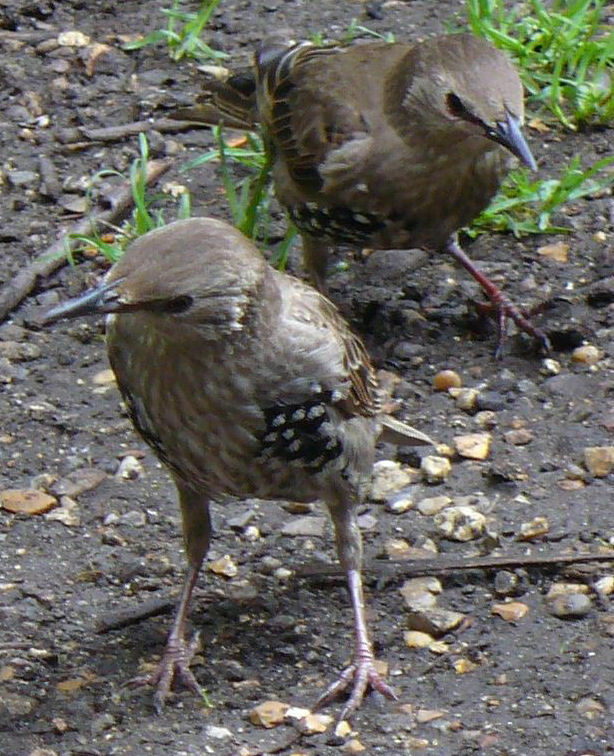 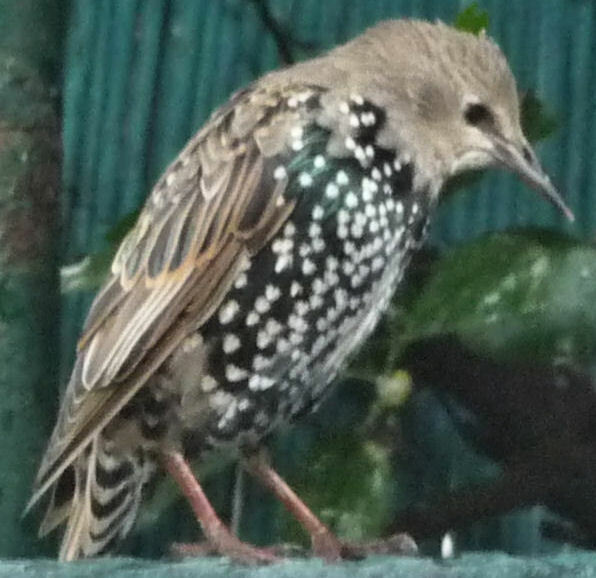 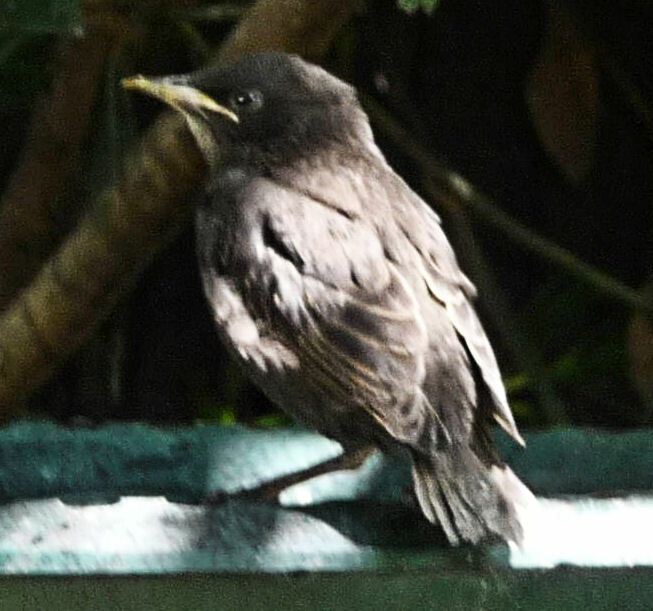 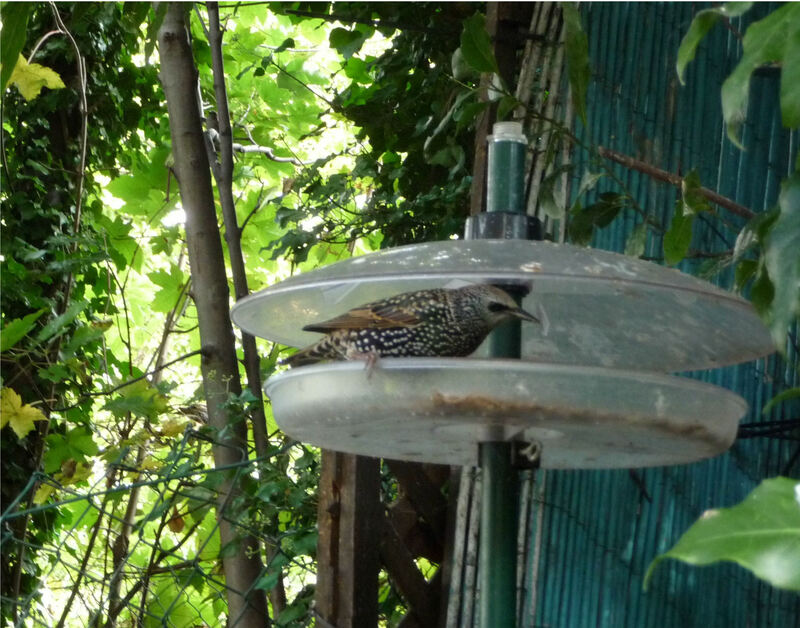 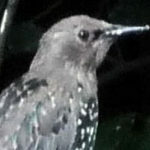 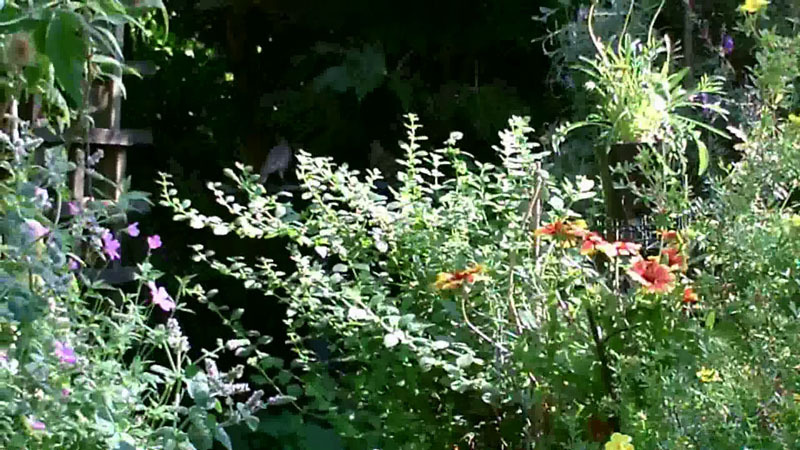 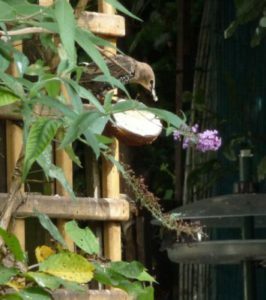 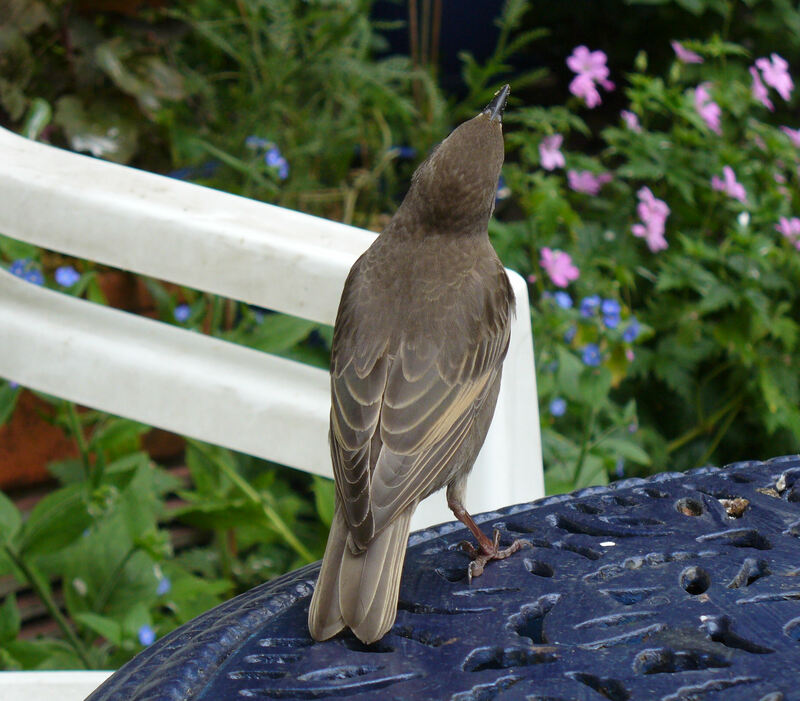 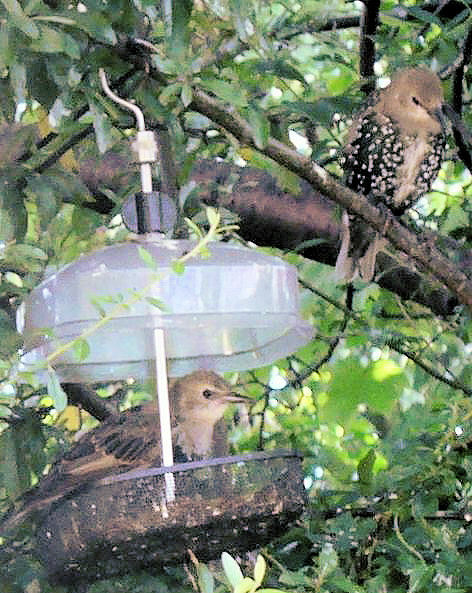 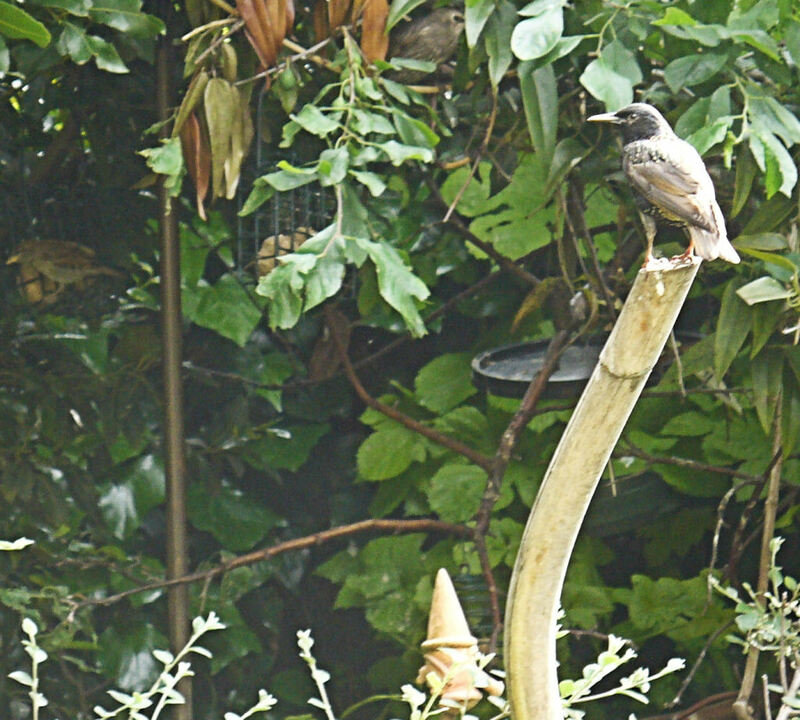 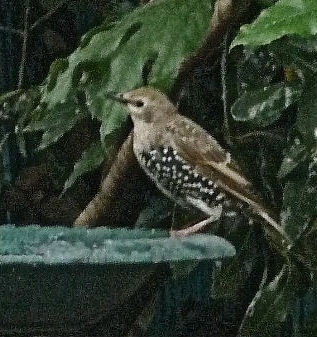 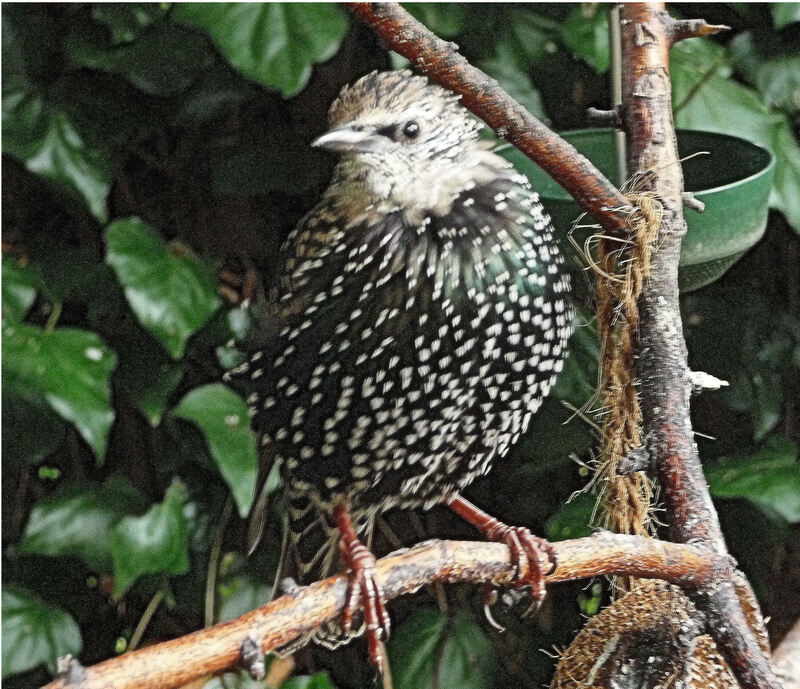 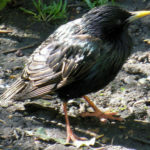 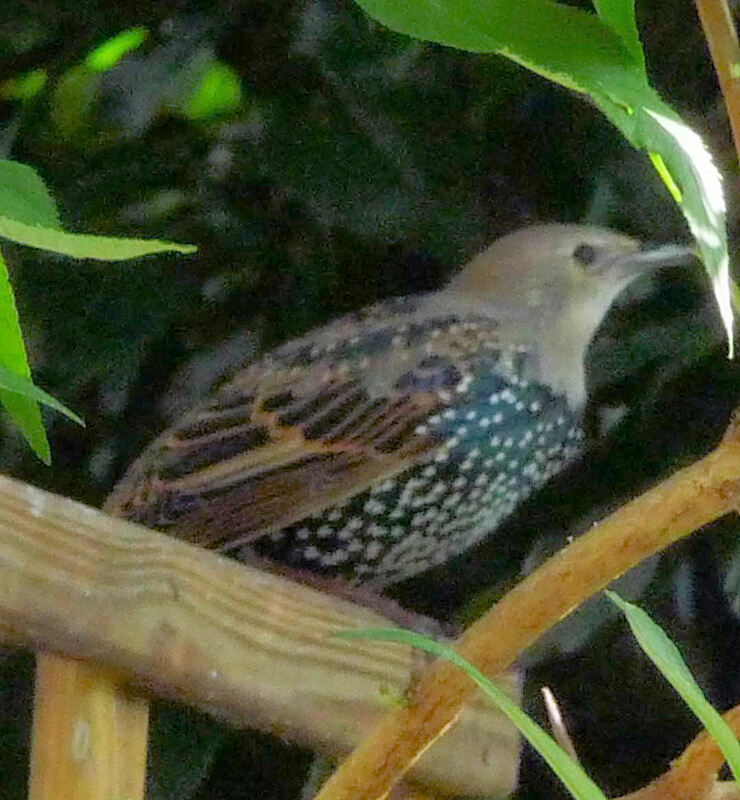 Starlings visit this garden for the food on offer; they like mealworms, suet pellets and grated cheese, and forage under the leaf litter and ground cover for slugs, snails and worms. 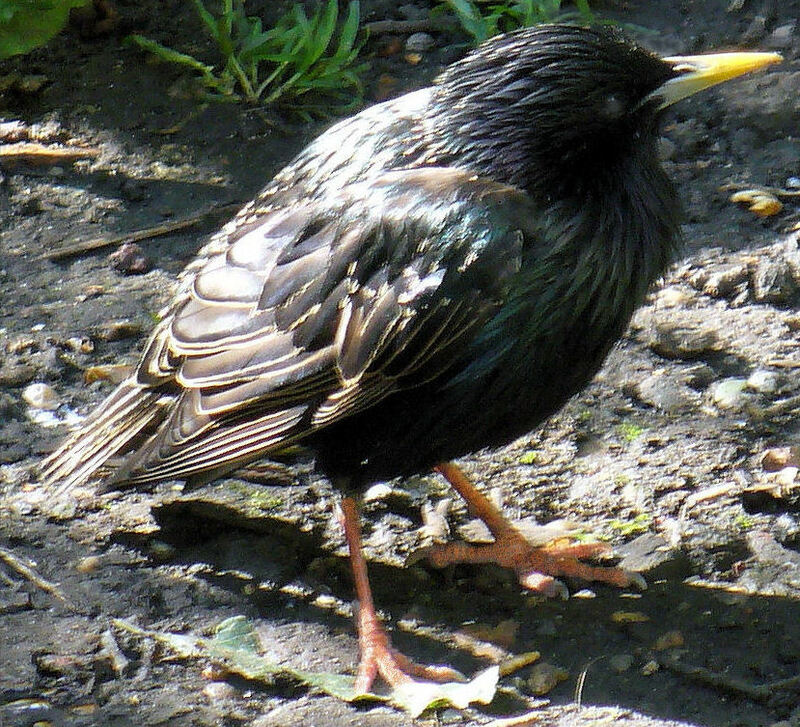 Starlings are brave, fearless and full of life. 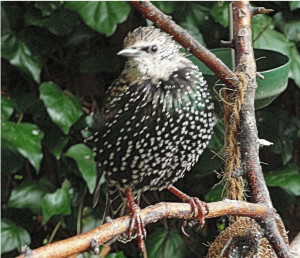 What a privilege it is to have them visit, and see them on those first spring mornings when their parents bring them to the garden – still quite egg-shaped, in the soft grey plumage of their nipperhood… watch them through the punk stage with spiky head feathers and speckled waistcoats… to their one-year ‘look’, all spangles but for the grey head… to their adulthood, when they are sleek in all their finery, wearing a galaxy of white stars on a sheen of blue-black feathers. 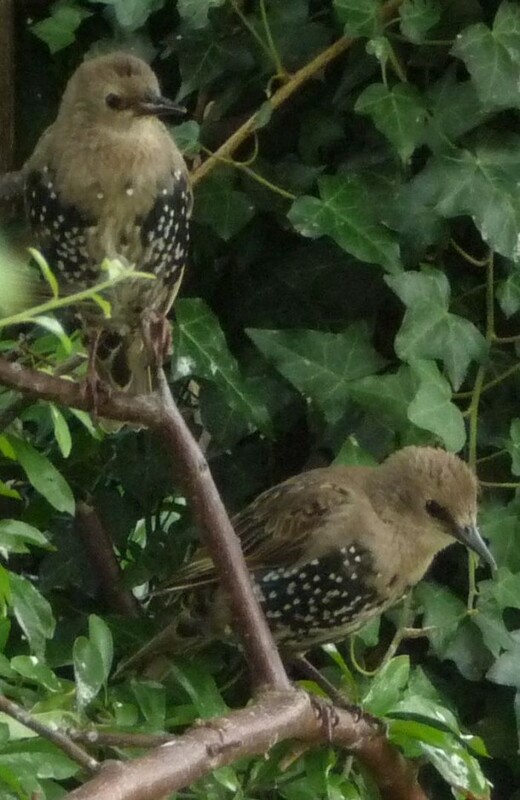 Fabulous birds. 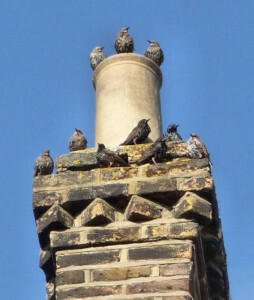 The Cockney Lambeth Walk of our gregarious, speckled chums perhaps? 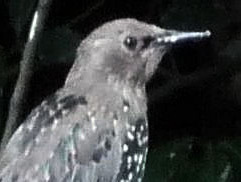 Find them in this vid. 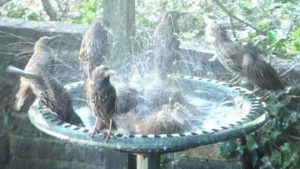 You see clouds of starlings massing and reforming in the sky over the Somerset Levels – on the telly, if you’re not down in Somerset. 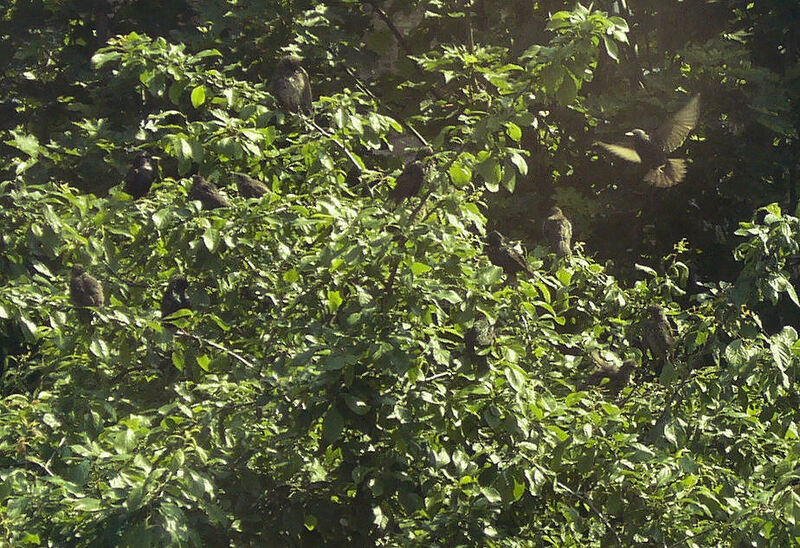 Here they perform the same aerial ballet, but it is only handfuls of birds circling round the site of our little woodland. 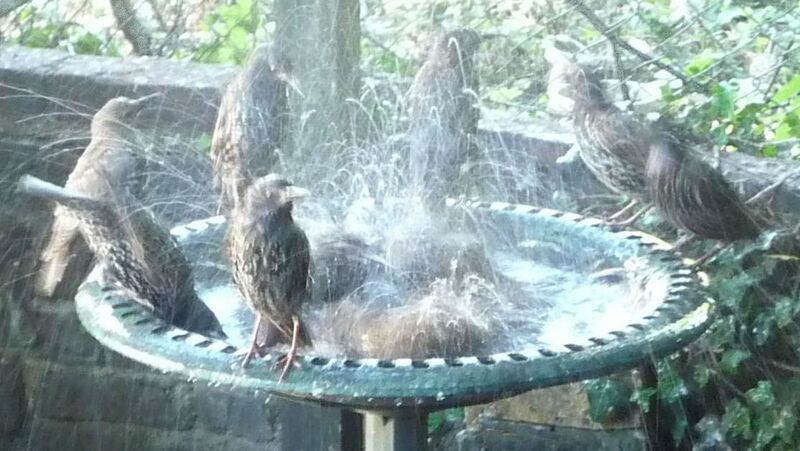 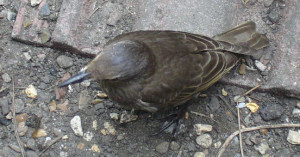 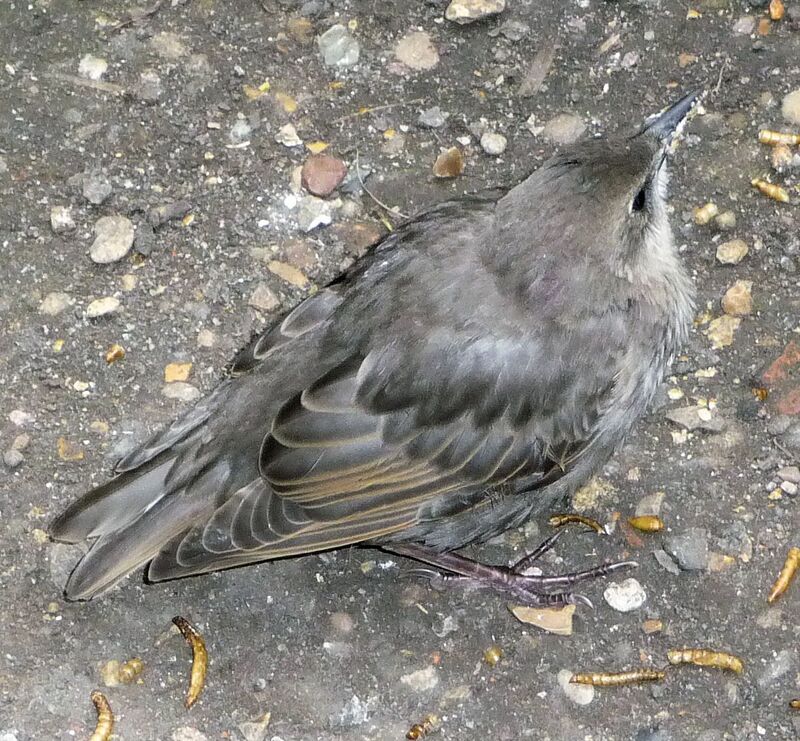 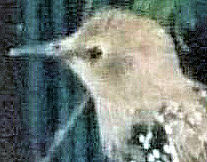 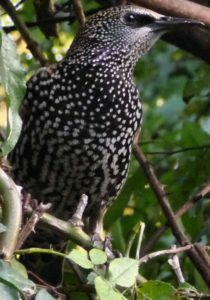 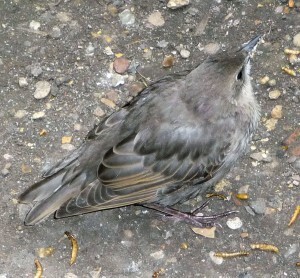 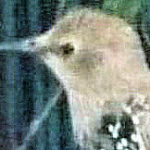 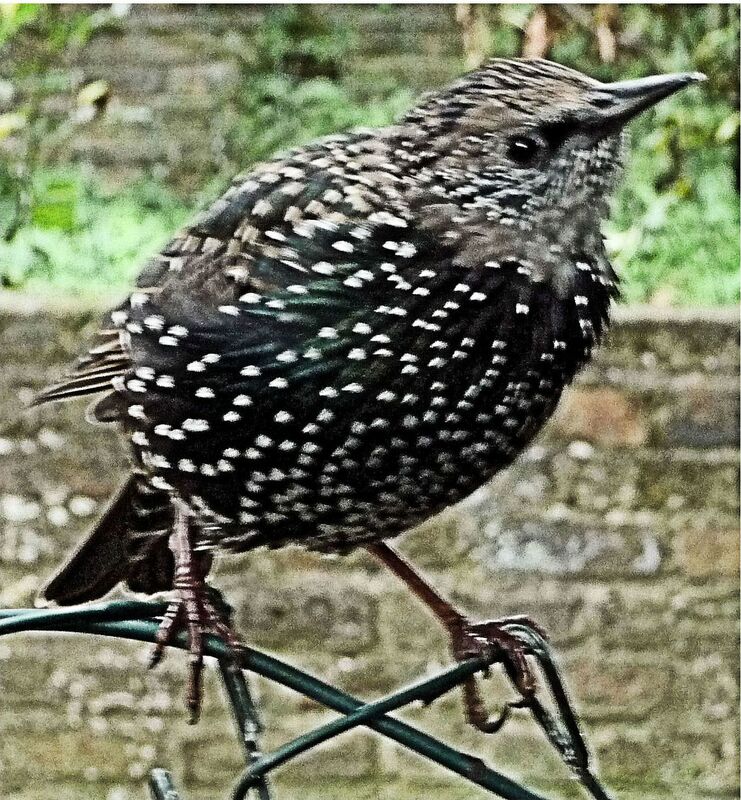 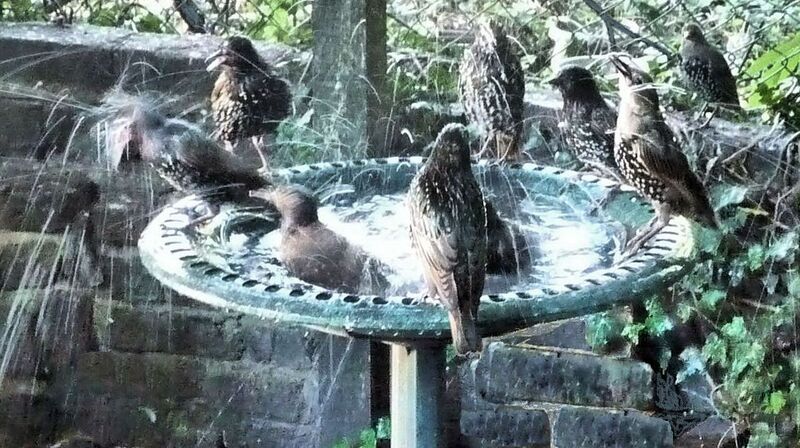 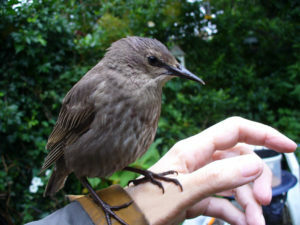 Starling numbers are down all round the country. 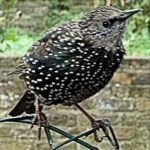 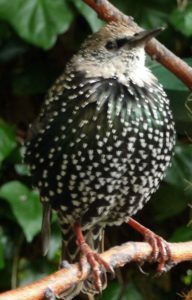 So it was with great pleasure that we counted 16 Starlings in our garden over one hour in January for 2016’s RSPB Big Garden Birdwatch.